In the world of binary options, particular broker houses simply earn more respect than others, and they have a large client base. One of those enterprises is 24Option, and our 24Option reviews will provide you with everything you need to know about this highly respected brokerage company. With a long-lasting presence in the business and genuine care about their clients, 24Option is a perfect example of how a broker house should treat its customers, and that is why many experts consider this company as one of the top binary options brokers. As we already mentioned at the start of our 24Option opinion, this broker house is one of the pioneers of binary trading. It was launched all the way back in 2009, immediately after the big market crisis in 2008, and this means that 24Option is a company with experience and tradition. An international corporation called Rodeler LTD currently owns this broker house. 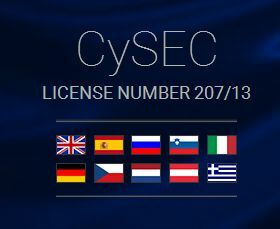 Another crucial moment in the development if 24Option happened in July 2013, when the company was finally licensed by CySEC – Cyprus Securities and Exchange Commission. 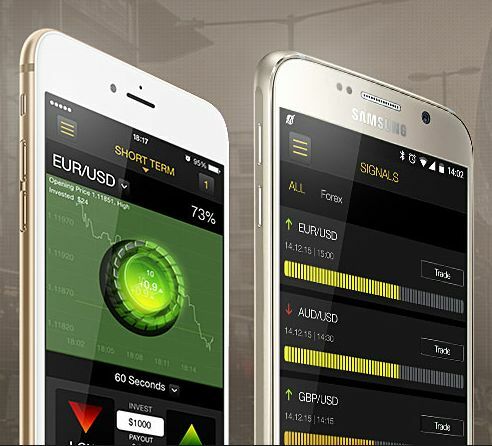 Being regulated by this agency is a major issue in the world of binary options, but this also signaled the end of cooperation with US investors due to well-known problems with legalities and regulations. 24Option binary broker offers a wide variety of accounts, and would-be investors will certainly find one that suits their needs and preferences. As a matter of fact, there are five different types available, and they are called Basic, Silver, Gold, Platinum, and Diamond. Of course, the essential difference between them is the amount of initial deposit, and the minimum amount you need to invest to be eligible to start trading with this broker is $250. Besides these accounts, 24Option offers two additional types – demo, which can serve as an excellent opportunity to learn the basics of trading, and the Islamic account. Trading with 24Option is highly straightforward, and beginners can quickly grasp the basics and start investing their funds. Returns up to 87% are tantalizingly attractive, and the average return of 82% on major forex pairs is equally appealing to prospective traders. Over 100 assets are on display at the website of this broker house, and clients can use several wagering methods to make their predictions and earn potentially massive profits. For instance, they can use High/Low, Short Term, One Touch, or Boundary option, and all of these “categories” are clearly displayed on the site. Binary trading is typically performed in short time frames, and that is why investors need to have fast and efficient websites at their disposal so that they activities and operations can be carried out in a flash. 24Option provides a software solution that fulfills all those criteria, and their web-based platform is intuitive and elegant as well. A well-known software provider called Tech Financials is in charge of this aspect, and they make sure that everything runs smooth. Also, their job is to provide top-notch safety and protection of client’s funds and personal information, and several layers of encryption and security protocols are keeping the intruders at bay. Therefore, no 24Option scam is possible. Furthermore, the site offers Bonuses to their customers, and occasional promotions can significantly increase your available amount if you happen to be the lucky winner. Besides the Bonus system, 24Option also offers binary signals to its clients, and this can be a valuable source of information and millions of traders are using these messages as guidelines on how and when to place a trade. When it comes to transfers of funds, 24Option offers a very efficient service, and all transactions are performed within 3-7 business days. 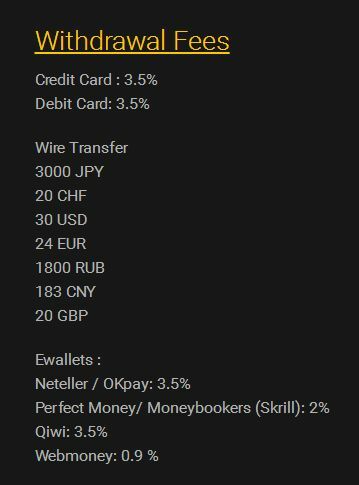 Multiple currencies are supported, and there is no maximum withdrawal limit. 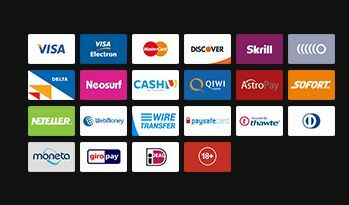 Also, VIP account holders do not pay any fees when withdrawing their funds while all other clients have one free transfer per month. All major banking methods are supported, including wire transfer, Cash-U, MoneyBookers, Skrill, Webmoney, and so on. The same applies to credit cards, and VISA or MasterCard will be perfectly fine for your needs. As you could see from our 24Option review, this enterprise is a top-notch broker house, and their integrity and tradition are truly inspiring. In the recent period, they have been working hard on promoting their brand, which is visible from the sponsorship agreements with Juventus and Boris Becker. At the same time, they take great care of their customers, offering high-quality services and continuously improving their services. When it comes to customer support, a very polite and efficient team will guide you into the proper direction, no matter the problem, and they can be reached via phone, e-mail or live chat. Since 24Option is a company with so many years of experience and long-lasting presence in the business, clients can rest assured that their funds and personal information will be protected. Also, trading with 24Option can be a very exciting and very profitable activity, and that is why our 24Option opinions are all positive. The market is filled with binary options brokers, and new ones are added every year. 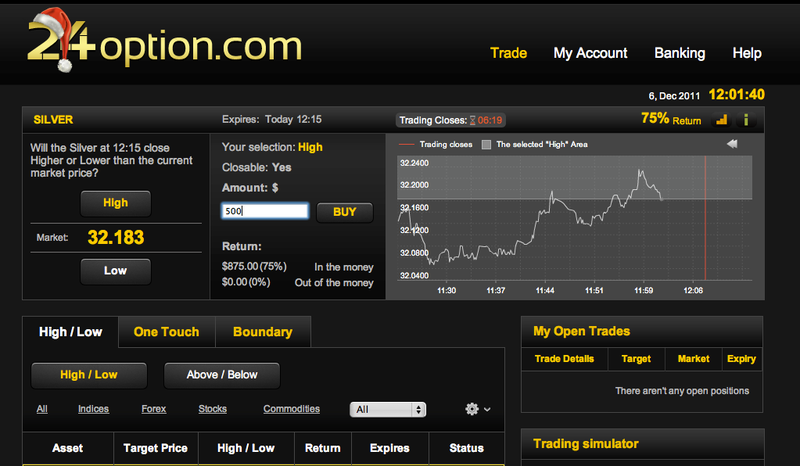 One of the newest binary options brokers to hit the market is 24Option.com. This broker is owned by the same people behind OptionFair.com, and runs the same platform as that website. It is completely web-based, which means an option trader can access the platform from any computer for binary options trading, and offers 23 tradable binary options assets with three expiry times. 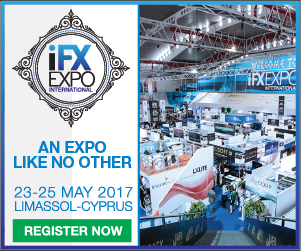 There are some uncommon binary options offered here, such as CAC-40 Future, MIB-40 Future, SMI-Future, USD/TRY, and EUR/TRY. You do not see those offered very often in the market, but the rest are pretty common, and as a whole the number of assets is roughly around the binary options trading industry average. Open Account and filling out the information page, complete with account info and personal info. Once reading and approving the terms and conditions, your account is created. There is no fee to sign up. 24Option may be new, but it offers one of the most user-friendly user interfaces of the binary options brokers out there. It is smooth, clean, attractive, and easy to use, with an intuitive layout. Switching between the three different trading methods – High/Low, One Touch, and Boundary – is easy, with tabs at the top of the interface. Drop-down menus allow you to switch between different types of binary options (forex options, commodity options, etc.). Prominently displayed in the main content area are the asset name, target price, action buttons, return, and expiry, as well as the status of your trade. Features that are lacking from the user interface are charts and graphs that give you a visual representation of what you are trading. The interface is still pretty easy to use, though, and your trades are color-coded based on if they are in the money, out of the money, or at the money. 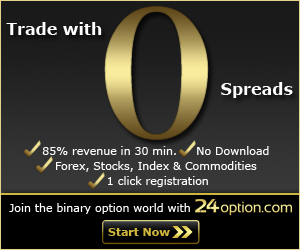 24Option advertises itself as offering a few features to option traders that aren’t found in many places online. One is the option to sometimes close out a trade early, before expiry. This is not always available, but is there at times if an option trader wants to end the trade early. 24Option advertises some of the best payouts in the business, with an 85% payout in the money and a 15% refund if the trade is out of the money. 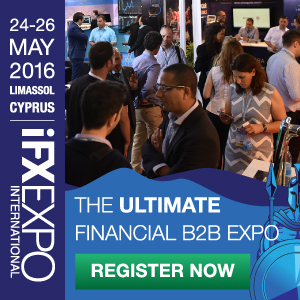 You can also earn bonuses if you sign up – a 24% bonus with a minimum deposit of $200. They also offer occasional promotions, like the chance to win an iPad. 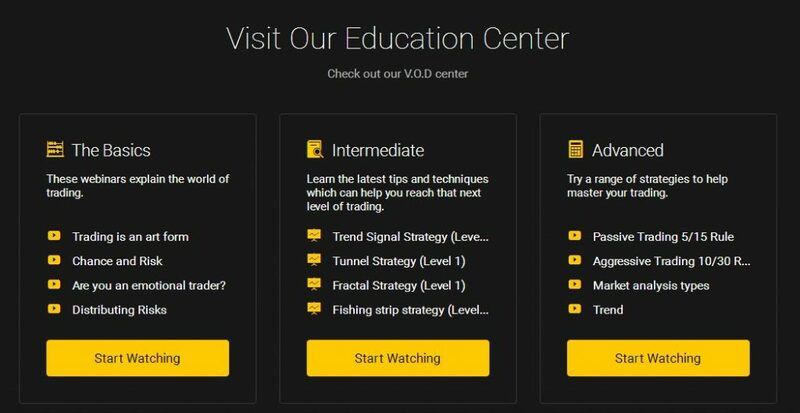 The main draw of 24Option is that it is easy to use, with a trader’s guide to get a beginner up to speed and a nice user interface. The bonus is pretty good for new users, and there is a nice bit of flexibility with three expiry times and 23 assets. The drawback is that there isn’t a lot of financial data that is easily accessible, and some advanced options aren’t there.